As a leader in product innovation and quality engineering Aqua Massage International introduces the industry's first "Body Profiler"™ operating system with a touch screen control. This sophisticated technology lets the operator or client easily select the preprogrammed Body Profiler™ to suit the client's unique requirements, such as stronger pressure on the lower back and gentle pressure in the neck region. For clients who desire more individual control over their experience, a handheld control enables the client to pause the massage jets on a desired location, increase or decrease the pressure in any zone, and select any single or double direction effects of massage for optimum pain relief and/or relaxation. The Body Profiler™ divides the body into 12 equal zones, ranging from the feet to the neck. Pressure and pulsation frequency of the massage jets can be independently and easily programmed for each zone. Up to 100 customized Body Profiles can be stored in the operating system and recalled with a simple "Press" on the touch screen. Entering the height of shorter clients automatically adjusts the length of the 12 zones to match their body proportions. Using the automatic "Gentle Start" option gradually increases the water pressure and/or pulsating frequency for a smooth introduction to each Body Profile. "Gentle Finish" automatically decreases the pulsating frequency for a "relax/dream" ending. No need to depend on the operator to monitor and regulate the session for the ultimate experience! Please Note until the buyers terms and conditions are signed and your payment has cleared no items will be released to you. In the event you change your mind and/or do not sign our terms and conditions, you will be charged a four hundred and ninety five dollar fee or fifty percent of the value of the credit on file whichever is more. If you change your mind within 10 days you may email us at sales@buytanningsalons.com to request instructions to get any remaining credit balance to your payment form on file, a few questions will be required to answer for verification reasons. In the event you do not contact us within 10 days, you will have a credit balance with us, all credit balances will expire 1 year unless they are used or requested back . You must sign and abide by the terms and conditions document to use any credit balance. Condition: Excellent condition. Residential booth, never used in salon. Completely inspected and ready to go. The Mystic Tan offers the Fastest Spray Tan Available! The Mystic Tan MyMist uses one nozzle that sprays from head to toe for a perfectly even, uniform spray tan. Mystic Tan booth total session time is less than half that of the VersaSpa, at 60 Seconds! The Mystic Tan offers 4 shades of color from Glow to Dark. The Glow level is an Ultra Light shade that is good for extremely fair skin tones. All Mystic Tan sunless spray tanning solutions are Clear to give the most natural results. 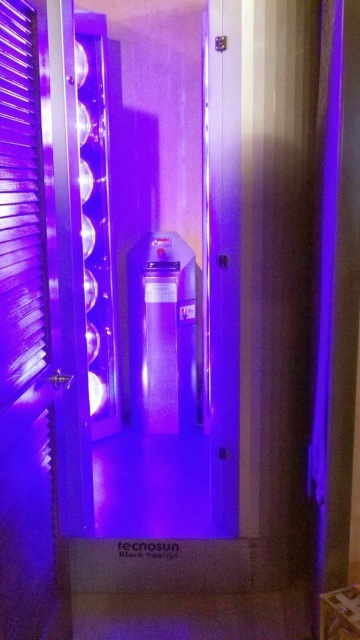 The matrix is very different than other tanning beds. It is made so that you receive 99% UVA rays and 1% UVB rays, approximately. The UVB rays are the rays that burn you, while the UVA rays allow you to tan. 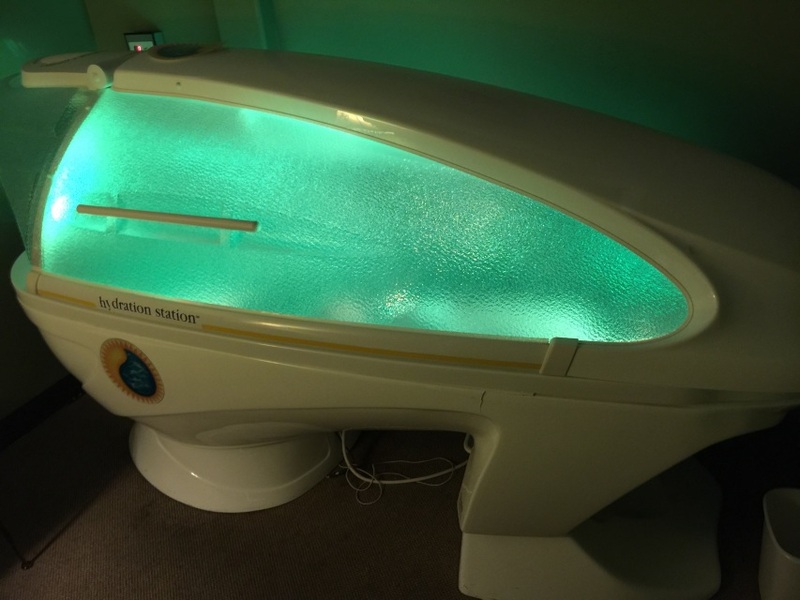 Also, it allows you to continue tanning for 48 hours, after laying in the bed. This means WAY more color with way less burn! Current Heraeus Lamps have 92 hrs on them. Bottom acrylic is new and top acrylic is in great shape. Has 46 X 160 W Lamps & 3 X 500 W facials. Has 7 X 25 W shoulder Lamps. Max 12 min tan time. Can be converted to single-phase. No paperwork fee will be charged to you as long as you keep your full deposit on file or buy any piece of equipment that you list as wanting to buy on our terms and conditions agreement with us (Even if it’s found from another vendor or independent seller not yet listed on this site as long as you have signed our terms and conditions agreement and that equipment was listed on it). In the event any of your offer/offers are not accepted please email us at sales@BuyTanningSalons.com to request instructions to get any remaining credit balance back to you, a couple of questions will be required to answer for verification reasons. All credit balances will expire after 1 year unless they are used or requested back. 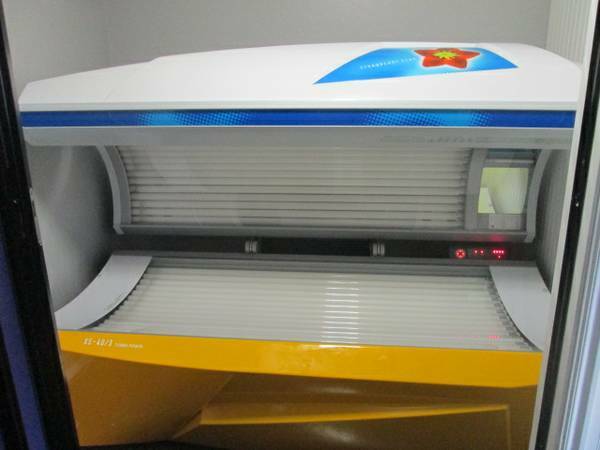 used UWE Sunboard Plus tanning bed for sale. 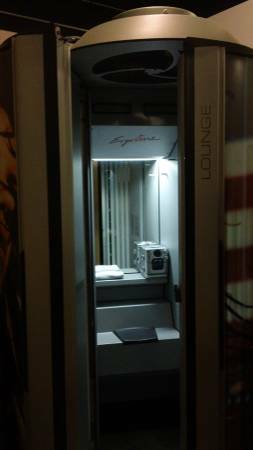 ETS Solarforce 52 Platinum Standup Tanning Booth for sale. 160 watt bulbs X52 Bulbs. 10 minutes max. create a custom commission plan/incentive plan for staff that's geared to increase sales. also we will advise you on negotiating with vendors, getting the best price on lotions/lamps/ and ECT. *restrictions apply. Must complete consulting terms and conditions document. This is program consists of a 12 week set up for completion, the charge today will be the first of 12 weekly payments of $109 for our set up cost. In addition to this there is a 5% commission paid weekly (on total sales) which does not begin until there is at least a 5% increase in weekly year over year sales, or the 12 weeks have concluded. If if we sell or liquidate your salon (upon your request) this agreement will automatically terminate. You can get the lowest prices, because we charge sellers the lowest commissions, and we give you access to a data base of used equipment listings from every site, even expired listings (many listings expire on other sites before the item sells) and pocket listings that only we know about. By having more options and knowing about many listings other buyers do not know about, you can get the best pricing (it’s not uncommon for 2 sellers to have nearly identical items, at up to a 50% difference in price) by allowing the sellers to compete against one another for your money. With a better selection you are more likely to get exactly what you want in addition to it being at the best price available. We are not retailers, as a result you will get much lower prices from us, but we also charge you for the ability to view our national database of equipment for sale, this data base takes multiply people to develop and maintain, this does cost money (this is why there is a fee to view listings via our national listing service). The Refundable fee you’re paying today will be refunded via a price reduction deducted from your first purchase. The reason this fee must be prepaid, is that you can change your mind about buying equipment at any time, as a result we must require you to cover the costs of developing and maintaining this site in the event you are not 100% ready to buy or change your mind about buying used equipment, our business model allows us to give you the best prices, we are not retailers but rather a national listing service and brokerage, our cost effective business model provides equipment buyers savings which is often up to 60% less than from dealers and up to 80% less than buying new. The fee being paid is refunded (via a reduction in our commissions) if within 1 year you purchase any piece of equipment through us Or within 15 days from some one else*. The refund is via a price reduction in our commissions if you buy a piece of equipment through us, or back to your card on file if you buy from someone else and provide a copy of the paid invoice with a picture of the unit you bought. You must have signed our "buyers terms and conditions" document to receive credit. 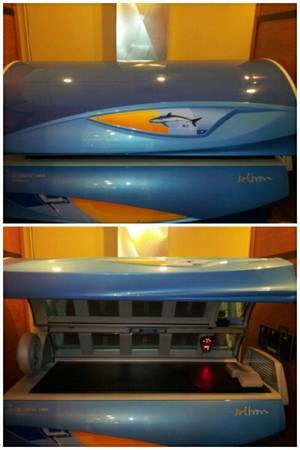 Tanning bed- Ergoline Passion 34 Price just reduced! 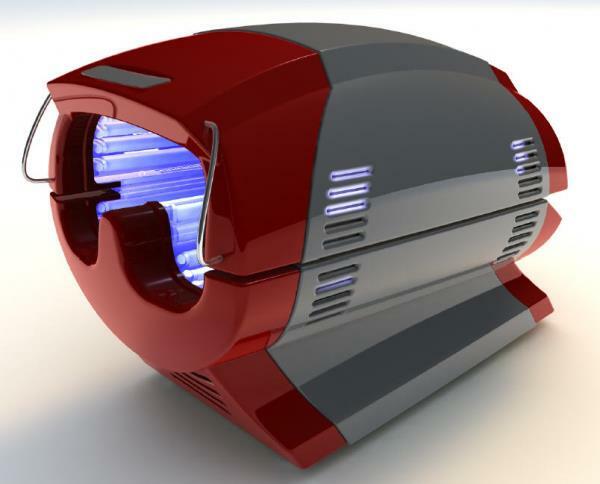 Ergoline Passion 34 tanning bed. Only 4 years old and in great condition! 2004 MYSTIC TAN SPRAY TAN BOOTH. ALL IN ONE. 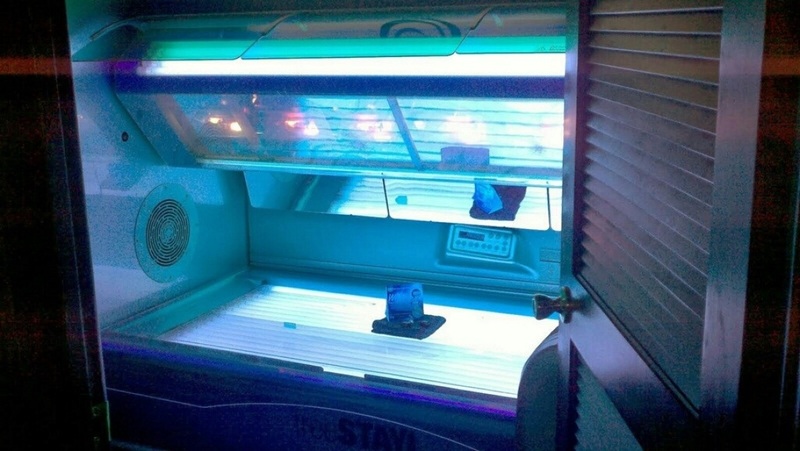 PURCHASED FOR MY NEW TANNING SALON, BUT DONT HAVE THE ROOM FOR IT, AND MOVING LOCATIONS, SO NEED TO SELL IT. ITS SET UP IN SALON BUT NO WATER HOOKED UP TO THE UNIT. Erogline Classic 600 VHR tanning bed.2 to choose from, one red, one purple. Look and run great, low hours. This unit is a 12 min max tan time unit. Has 50 x 160w body bulbs and 4 x 500w facials. Also has shoulder tanners. Can be wired single phase or 50amp 3-phase. Dimensions are 92" long x 51" deep. Top of the line Soltron high pressure commercial tanning bed with mattress. Looks and runs great! 24 Minute unit with 20 x 520 watt high pressure lamps in the canopy, and 7 spaghetti shoulder tanners. 1667 hours like new. Please note you are paying for a deposit on a Business for sale or group asset for sale listing. After you have signed our business asset acquisition terms and conditions document that will be emailed you can clarify the exact offer amount you wish to make and we will present the offer ( provided it complies with our terms and conditions and you have signed our terms and conditions ) for you to the seller. Please Note until the business asset acquisition terms and conditions are signed your offer will not be presented to the seller/sellers agent/business owner. In the event you change your mind and/or do not sign the document or fully comply with its terms and conditions you will be charged a Four Ninety Five dollar fee for access you have had to our national business for sale listing service (no fee is charged to you if you are already a member in good standing) and you will be given a year of access from your deposits original submission date, the national listing service fee may be deducted from your deposit or paid separately ( at our discretion). (Your can request references via a link at the bottom ).No national listing service fee will be charged to you as long as you keep your full deposit on file or buy any asset that you list as wanting to buy on our terms and conditions agreement with us ( Even if it's found from another vendor or independent seller not yet listed on this site as long as you have signed our terms and conditions agreement and that asset was listed on it). Please note the the national listing service fee is deemed earned when the "buyer's terms and conditions" are emailed to you this fee is only voided if you sign our terms and conditions agreement and successfully purchase any asset you have listed on that agreement within 1 year. In the event any of your offer/offers are not accepted please email us at sales@BuyTanningSalons.com to request instructions to get any remaining credit balance to you, a couple of questions will be required to answer for verification reasons. All credit balances will expire 1 year unless they are used or requested back . This successful laser hair removal spa operates in the hub of an affluent, vibrant and high traffic commercial district of Long Island. Business is very profitable and provides top notch service to their loyal customer base ever since commencing business 7 years ago. The medial spa has out grown 2 prior locations since expanding to their current location where they have been located for the past 4 years. All treatments are provided by professional & licensed personnel including a medical doctor. Clients come from both near and far and are provided with high quality services and with attention to detail using the latest equipment available. This Spa is the go to location for popular services some of which include laser hair removal, botox, facials, electrolysis, laser skin services and treatments of spider veins and facial vessels. This is a high volume location with 5 rooms and 3 techs and 1 medical doctor. The Spa has a database of over 2,700 clients and average 20-40 appointments per day. The business uses web-based crm scheduling software that sets appointments This is an excellent opportunity for the owner of an existing laser hair removal salon, cosmetic practice or related appearance enhancement business seeking to expand into a new high in demand location. fantastic opportunity for someone who wants to add a high volume Salon to their porfolio, or for someone who wants to get into the business either a cutter or an operator. currently this location employs 30 staff members from cutters to colorists, receptionists assistant's, etc...favorable lease terms, stunning decor and build out. Please have proof of funds ready and PRINCIPLE buyers only. Serious inquiry's please. Amazing opportunity, amazing location, this 1,000 square feet unisex barbershop/salon recently updated is well established for over 25 years. This is a great business for someone just starting in the industry or an experienced operator. There are 5 stations 2 shampoo stations and 1 coloring station with 3 stylists leaving room for much more potential. The great thing about this shop is that the owner is willing to stay on staff 4/5 days a week keeping his customers in the shop. Grossing $150,000 a year with low rent and a long lease this is an excellent shop to make money while building your own clientele. The owner is willing to finance 1/2 the selling price. This one won't last! Local Barber Shop with 4 stations established 3 years Rent only $1,600 these updated shop offers repairs for cracked cell phone screens. Busy seller only opens 5 or 6 days per week. Lots of room for growth. Perfect business for spa professional or entrepreneur! Laser Hair removal spa located on Upper East Manhattan. Great location, fully renovated and all equipment in order. Spa provides IPL Hair removal, facials, microdermabrasion and facial peels. This salon offers traditional hair services as well as waxing, facial treatments, eyebrow tinting and manicure/pedicure services.